Watch Olive Ridley Turtle Hatchlings prepare for their awe-inspiring journey into the sea at Anjarle beach. Anjarle is a village in Ratnagiri district of Maharashtra about 200 km from Pune. It is famous for its beaches and turtle ‘festival’ which is held by the local people of Anjarle. Every year thousands of Olive Ridley sea turtles (females) return to the coastline of India and Sri Lanka from where they had left once 15-20 years ago. Science may not know how, but the turtles know exactly which beach they were born on, when and how they will return to lay their eggs to the same beach where they had once taken their baby steps into the sea. The term Turtle ‘festival’ is not to showcase or display these beach turtles. The sea turtles are protected under the 'Migratory Species Convention' and CITES (Convention of International Trade on Wildlife Flora and Fauna). India is a signatory nation to all these conventions. The 'Homing' characteristics of the Ridley sea turtles make them more prone to mass casualty. The conservation status of Olive Ridley turtles is considered ‘vulnerable’ and currently on the list of endangered species. There are several reasons why their population has decreased, one of them is getting destroyed or eaten up by carnivores. 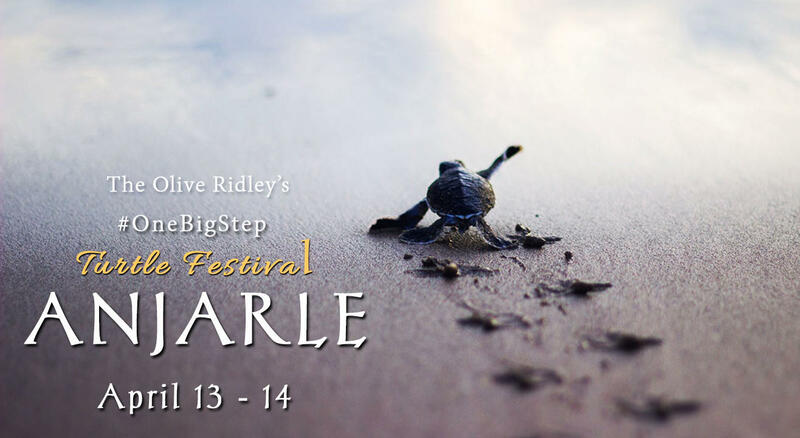 In an attempt to prevent this mass destruction, the Anjarle Turtle festival is an effort by the locals. The project involves in preserving the Olive Ridley sea turtle population by collecting the Olive Ridley turtle eggs along the coast and after 45-60 days successfully releasing the hatchlings into the sea in a phased manner. Please Note: Only when the hatchlings are ready they are taken for the release, thus it is a complete natural phenomenon and one cannot promise how many hatchlings entering the sea can be witnessed. We will be visiting the release 3 times (day 2 morning and evening, day 3 morning) during this trip to maximize our chances of seeing the baby turtles sticking their head out of the sand and taking the first breath of fresh salty sea air. 5:30 am – Reach Anjarle and freshen up. 7:00 - Return to the homestay for dinner. 9:00 pm – Arrive in Pune. Travel and toll: Pick up and drop off from our selected pick up points. Meals covered on the trip: Morning tea, Breakfast, Lunch, Tea and refreshments and Dinner on Day 1. Morning Tea, Breakfast and Lunch on Day 2. Shared accommodation with 4-5 in each spacious hotel room, with proper bedding. Mineral water for drinking throughout the trip. Tour guides and camp leaders all along the trip. Any of the beach adventure rides. Be sure that you are responsible for your own personal belongings. We like to keep the wildlife wild; please do not litter the forest/ sanctuary and the campsite. Please confirm your registration with amount Rs. 3600/- for veg or Rs. 3780/- for non-veg in cash or make an online transfer . Availability is first come first serve basis. Last day of confirming is 2 days prior to the event date, but please book your seats as soon as possible to avoid any disappointment.